So far, things have been looking up for the Fire Island real estate market in 2018. There have been 30 sales transactions recorded island wide, year to date. Because there is a recording lag of up to 90 days for sale data to come through to public sale record, this data consists mainly of sales that closed during the first quarter of 2018. At 30 transactions closed year to date, that puts transaction volume on pace for approximately 120 sales this year. 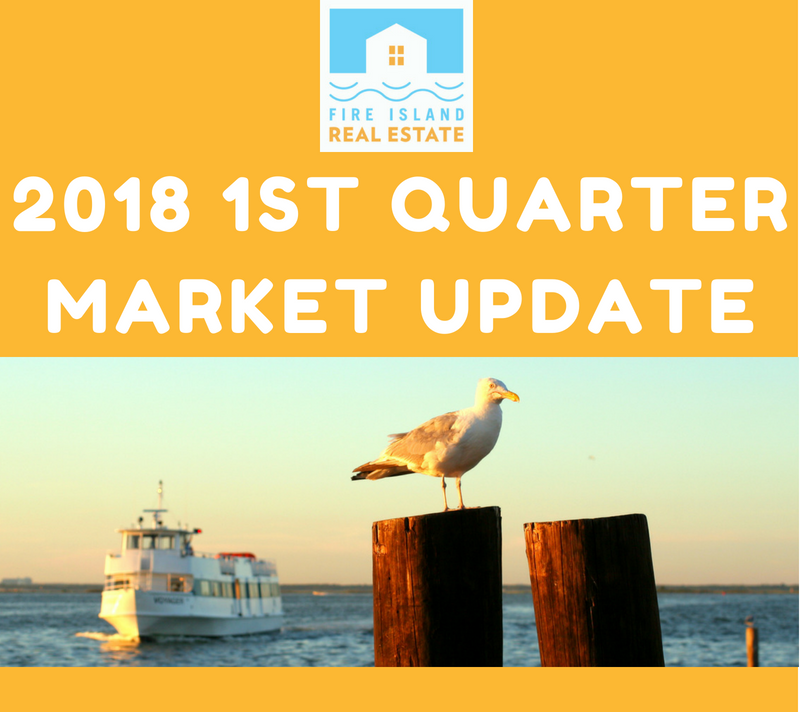 In an average year, Fire Island sees 99 homes sell, indicating that the strong market we’ve been experiencing over the past few years appears to be continuing into 2018. The average Fire Island year to date sale price is $925,853, which is up 16% from 2017’s average sale price of $797,947. The median sale price is $804,250, which is up 6% from 2017’s median price of $760,000. The high end of the market has been performing much better in 2018 than it did in 2017. While the overall market was strong in 2017, the high end of the market was unusually inactive, with no homes trading over the $2 million mark. 2018 is already ahead of last year, with the highest price paid for a home so far coming in at $2,390,000, which is nearly 30% higher than 2017’s high price paid of $1,850,000. Curious as to how the market is performing in your town? 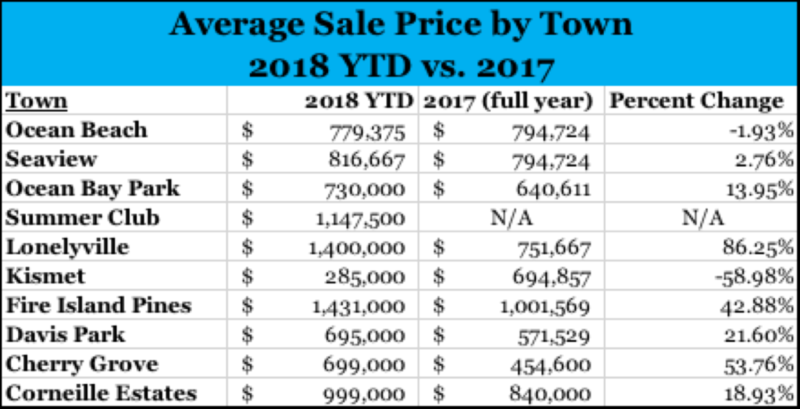 See the table below for a town by town breakdown of the year to date 2018 average sale price as compared to 2017.